Time Tracking is a hassle. 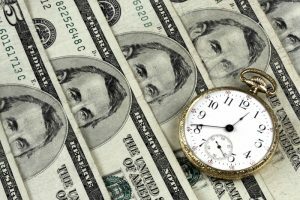 It is no surprise that any unaccounted billable time that is not properly documented and invoiced is lost income for an Attorney and Law Practice. Attorneys know that effectively tracking time is critical for profitability, and for accurate firm records management, but the busyness of the day and constant switching between tasks makes capturing and tracking every billable minute a headache. What are some reasons that Attorneys do not effectively track their time actively during their work day? Too much hassle to track time to an open Matter in the moment. Not easy to quickly transition from tracking time on one Matter to tracking time on a completely unrelated Matter. Too much time is wasted trying to fill the Time Card with all relevant information to properly track time, thereby decreasing productivity. The legal pad and pencil habit followed by weekend (or, worse, monthly) work sessions entering time manually is hard to break. Knowing the profitability, accuracy, efficiency, and accountability benefits of active time tracking during the work day, Attorneys can find value from an integrated practice management software that makes it easy to track time in the moment. Fully integrate time tracking allows for the creation of Time Cards with Matter details already populated, ensuring accuracy of Time Card assignment, and efficiency of reporting. The best records are those that do not sit for days before entry, or are, worse, recreated as best as possible through calendar and email review. Law practice focused time tracking software technologies can provide significant value for the busy Attorney. For those days when multiple Matters are under activity, in-application Time Pop-ups, such as the Denovo Time Widget, can help accurately track multiple small instances of time into one complete Time Card record for a task, with the ease of a start/pause time tracking button. The Denovo Time Widget, shown below, allows each User to Pin relevant Time Cards to their Time Widget for handy accessibility, while also retaining the Time Card against the related Matter and Payee records. Once complete, the Time Card can be unpinned from the Widget. Creating a New Time Card from the Denovo Time Widget can add even more efficiency to your day, especially when a New Time Card is created in the Widget while the related Person or Matter is open in the Denovo App. This step auto-populates the related field on the Time Card, saving you time, and helping to ensure proper assignment of time. These Time Records can then be exported from Denovo as a CSV file for quick invoicing in complete detail: Date, Payee, Billing Attorney, Matter, Notes, Time, Rate, and total Amount. Finally, an integrated Time Tracking system, such as found in Denovo’s practice management software, supports auto-adjustment of time records to automatically round to the nearest one-tenth hour (6 minutes), or can be set to another time increment if desired by your firm’s practice. If you aren’t quite ready for Law Practice Management Software, there are other resources you can use for tracking your time. Lawyerist provides a handy description of other options here. If you would like to learn more about Denovo, contact us at info@denovo.io or visit denovo.io.